Bridge Mortgages provides homeowners a complete suite of home mortgage programs, including jumbo home loans up to $3,000,000. Jumbo mortgage rates have been out of reach for many borrowers until recently when home loan rates fell for conventional and non-conforming financing. The most popular jumbo mortgage at this time is the option home Loan that offers you several payment choices each month. Bridge Mortgages offers jumbo home loans for anyone in the United States who needs a loan over $417,000. Our loan officers will help you get the best interest rate for jumbo home loan financing regardless of your credit history. By always keeping a competitive edge with real estate and mortgage market, we are in a position to offer you the lowest possible mortgage payments for million dollar mortgages. We will help you lock an interest rate online, get pre-approved to buy a home or simply help process your loan to get cash via a second mortgage loan or a 1st home mortgage. 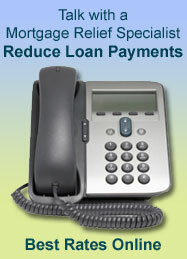 Bridge Mortgages suggests comparing rates for refinance loans. Refinancing your jumbo mortgage will enable you to lower payments, and possibly reduce the interest rate. There are many benefits to refinancing, but the most compelling reason to revise your mortgage is simply to save money. All rights reserved Copyright © BridgeMortgages.com - All applications for jumbo home loans are subject to credit & property approval. This is not an advertisement for credit as defined by paragraph 226.24 of regulation Z.